LOS ANGELES, California, April 8, 2011 (ENS) – The first study to explore the physical effect of freeway pollution on brain cells shows that inhaling freeway air damages the cells involved in learning and memory and results in inflammation linked to premature aging and Alzheimer’s disease. The toxic substance is not an exhaust gas, but a mix of nano-sized particles from burning of fossil fuels and weathering of car parts and pavement, finds new research from the University of Southern California. The freeway particles measured between a few dozen to 200 nanometers – roughly one-thousandth the width of a human hair and too small for car filtration systems to trap, said senior author Professor Caleb Finch, an expert in the effects of inflammation. “You can’t see them, but they are inhaled and have an effect on brain neurons that raises the possibility of long-term brain health consequences of freeway air,” said Finch, holder of the ARCO/William F. Kieschnick Chair in the Neurobiology of Aging at USC. Many studies have linked vehicle pollution and health problems but this is the first to explore the physical effect of exposure to freeway air on brain cells, Finch said. Co-author Constantinos Sioutas of the USC Viterbi School of Engineering developed a unique technology for collecting freeway particulates in a liquid suspension and recreating polluted air in the laboratory. This made it possible to conduct a controlled study on cultured brain cells and live animals. In the study, mice were exposed to freeway air for 150 hours, spread over 10 weeks, in three sessions per week lasting five hours each. Whether in a test tube or in live mice, brain cells responded in a similar manner. Neurons involved in learning and memory showed significant damage. The brain showed signs of inflammation associated with premature aging and Alzheimer’s disease. Neurons from developing mice did not grow as well. Even an all-electric car culture would not solve the problem on its own, said Finch. 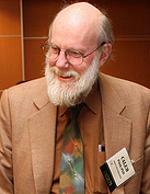 “It’s a long-term global project to reduce the amount of nanoparticles around the world. Whether we clean up our cars, we still have to clean up our power generation,” said Finch. The study is published in the peer-reviewed journal “Environmental Health Perspectives,” issued by the National Institutute of Environmental Health Sciences, a federal government agency. The study by Finch and his team adds to other evidence on the health dangers of vehicle pollution. 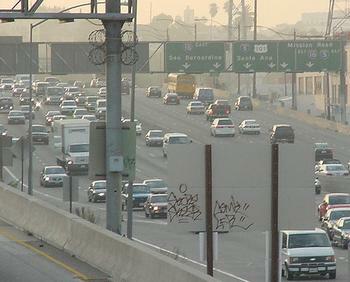 Research by preventive medicine faculty at the Keck School has linked proximity to freeways with increased risk of asthma and, most recently, autism. Autopsies of adults in Mexico found signs of brain inflammation and premature aging in subjects from Mexico City compared to ones from the less polluted city of Veracruz. Prior research by Sioutas found inflammatory responses in the brains of rodents exposed to freeway air, but did not study the effect of freeway particulates on brain cells.